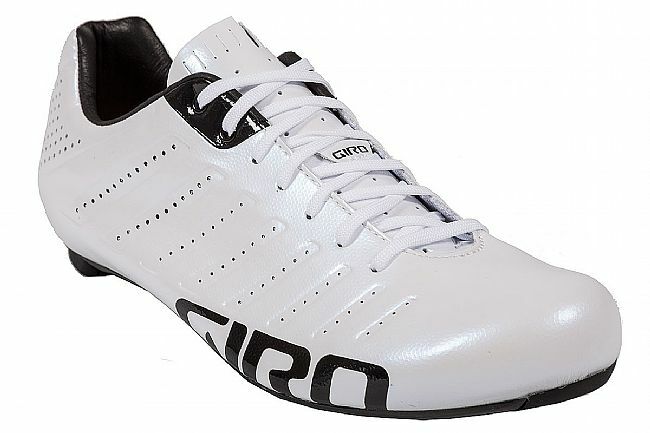 Giro's Empire SLX is the ultimate lightweight, comfortable, and stylish road race shoe. 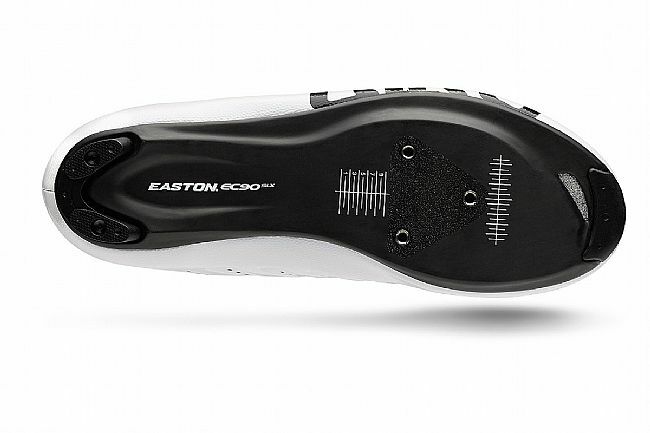 It features Easton's® EC90™ SLX2 high-modulus carbon outsole that's uncompromising in stiffness for maximum pedaling efficiency, and the incredibly supple Evofiber™ SL one-piece upper conforms to the foot thanks to the Empire's iconic lace-up closure that's simple yet highly effective. Inside, the X-Static® antimicrobial footbed uses Giro's SuperNatural arch supports that can be swapped out for an exact fit. All hardware is titanium, and the heel pads are replaceable for incredible performance in a shoe that will last. Compatible with three-bolt road cleats. I'm a lightweight (150 lb) climber and ride a lot in the hills on the SF peninsula. I've been using Sidi Genius models for the past 15 years and also have an old pair of Rocket 7. 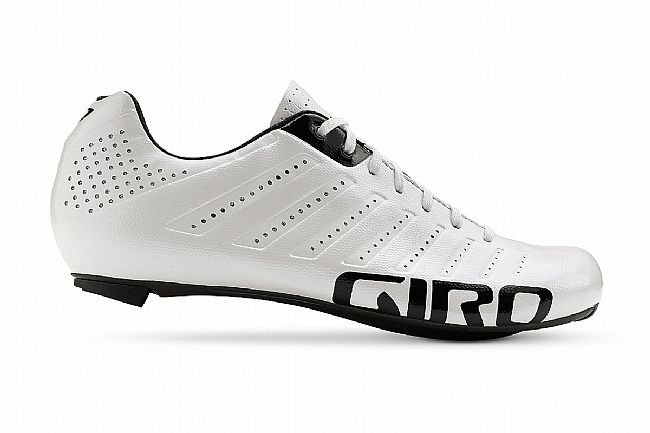 Sidis fit me like a glove, but it seems they are getting so expensive, so I decided to try something different. The SLX Empires are about 125gshoe lighter than my Sidis (same weight as Rocket 7s). 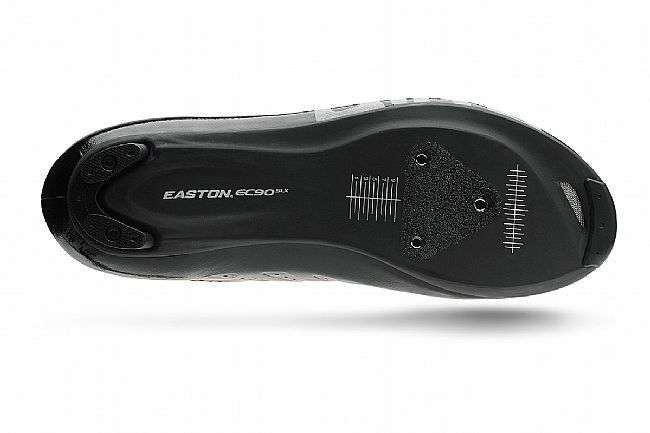 This weight savings is significant, especially for a shoe since that is rotational weight. When I ride with these I feel like I want to spin more. While not quite as comfortable as the Sidis, they are close. The main difference I feel in fit is the heel cup. 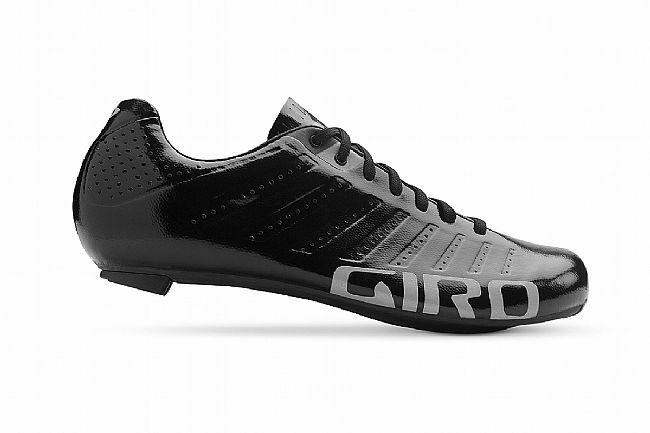 The Sidis grab the heel more and the SLXs are tighter around the arch and instep. Once I'm on the bike grinding away and suffering I don't notice this however. Both are super stiff so no difference there I can tell. I do have to spend more time putting on the SLX and adjusting the laces (I actually have to use a shoe horn to get them on), so that's the only drawback. Otherwise I think they are a great shoe. I wear size 10 consistently and bought these in 43.5. My Sidis are 44. 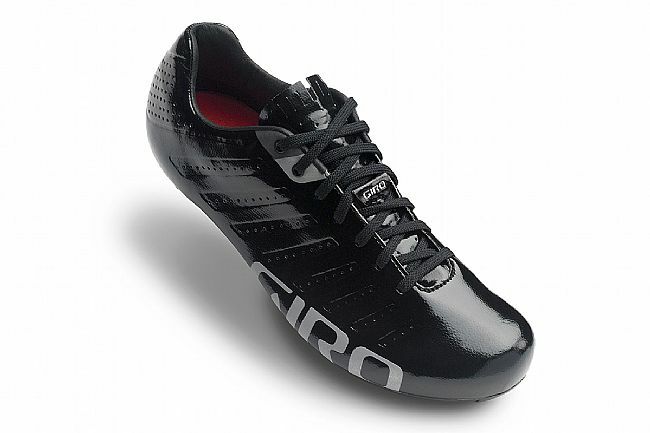 They feel a bit narrower than the Sidis so if you have wider feet you probably want to size up. Bottom line If you want to save some weight or like to spin, and don't mind spending an extra couple minutes putting on your shoes, you will like these. It may take some time to get dialed in with the right size, arch inserts, and lace adjustments, but once you do you'll benefit from these lightweight performers.